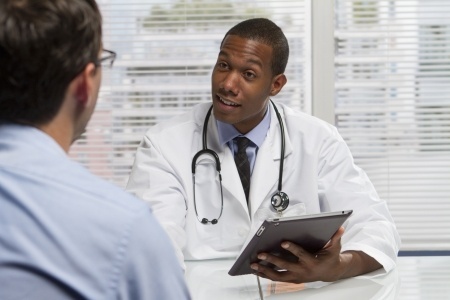 What is the Impact of ObamaCare on Physician Reimbursement? Healthcare in the United States is still being developed around private insurers and public providers. ObamaCare was signed into law to make affordable healthcare services accessible to patients all over the country. ObamaCare required insurance companies, hospitals, clinics, and private practices to make many changes to accommodate patients without prejudice. Some of these changes have affected how physicians and private practices are reimbursed by insurance companies covering a patient under ObamaCare. This article discusses the impact of ObamaCare on physician reimbursement. ObamaCare, or the Affordable Care Act, has made health insurance a requirement for all Americans. ObamaCare was signed into law on March 23, 2010. Under the terms of ObamaCare, insurance providers cannot deny coverage to patients with pre-existing conditions. ObamaCare also regulates the prices of healthcare plans in accordance with a market of free commerce, so that all patients are eligible for affordable healthcare coverage. Although the free market principle has resulted in low cost insurance, it has also resulted in lower coverage. Many physicians and private practices have noticed a decrease in reimbursement from ObamaCare plans. As these plans are provided by private insurers, many doctors felt that their businesses would still receive the same kind of operating revenue as they had been. According to an article from the New American, one doctor has noticed a substantial decrease in reimbursement. Dr. Gerard is describing how his practice is his business, and that his operating expenses are becoming prohibitive due to reduced payments from ObamaCare health plans. Reduced reimbursement rates from private insurers of $100 down to $80. Reduced health care availability to consumers because physicians are changing their businesses to a cash only model. Reduced quality of care for consumers as insurers adjust their health plans to match the costs of ObamaCare plans. Many primary care physicians have felt that ObamaCare is stifling their business, so they are choosing early retirement. The problem is compounded by fewer medical students pursuing careers as a physician. ObamaCare was provided as a means for Americans to receive healthcare at affordable rates. This required insurance companies to adjust their plans in order to accept lower rates. Many physicians have found that ObamaCare plans reimburse their practices at levels similar to Medicare and lower than private insurance. This has resulted in several unintended side effects within the American healthcare system, that manifest themselves as a reduction in healthcare quality. Avidity Medical Design provides services for healthcare course development. Please contact us with any questions. What is the Future of Electronic Medical Records? Most healthcare providers are slowly but surely transitioning from the traditional hard copy paper record to the electronic medical record that is more easily entered, stored, and accessed. Tablets have replaced notepads for doctors dictating the patient’s medical history, review of systems, physical examination, and factors in medical decisionmaking. This has freed the healthcare provider from spending additional time entering data, and reduced the amount of time taken away from patient care. Tablets can also take visual images on the spot as needed. The future, according to KERA, a north Texas public radio station, is tying all these records into a network that primary care physicians, specialists, and other healthcare providers can share. For example, it is still very common for patients to have to fill out the same forms over and over again when seeing other doctors, including specialists to whom he or she has been referred by the primary care physician. One reason is that various healthcare providers have different medical record software programs that do not necessarily communicate with one another over a network. In the future, different specialists will be able to access medical information on a patient instantaneously, including notes from the primary care physician, and add data if necessary. This would streamline the recordkeeping process that has been the bane of healthcare providers and free them up to spend more time taking care of patients. As a bonus, the system could be geared to alert the primary care physician instantly when a patient has been admitted to the emergency room, or a record has been updated by another physician. In the present, electronic medical records store patient information. In the future, healthcare professionals will find new ways to access and share patient information that goes beyond storing it in the patient record.